Logitech’s new Prodigy G 2016 lineup has stuck to its basic consumer gaming roots, including RGB lighting, sleek and simple designs, and included software that’s functional and fun to use. But as practical as the products are, we had to see how they would hold up under actual use. 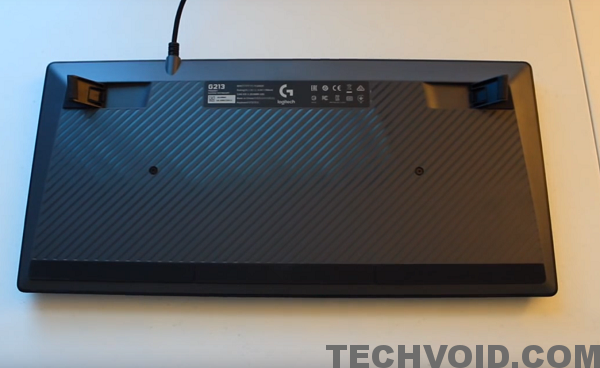 Below you’ll find our full review of Logitech’s brand new Prodigy G213 keyboard. The overall design of the Prodigy G213 is quite enjoyable. I have been waiting for Logitech to create something that is high performance without categorizing me within the gaming demographic. The G213 is a considerable option. It is simple, modern, and functional. The palm rest cannot be removed, but I do not find that a problem. It actually adds needed support for your wrists with keys that are raised. It runs at a 500hz refresh rate, 4-5 times quicker than a standard keyboard. I noticed a significant increase in response times and key press recognition compared to my older keyboard. There are no “function” keys that you would find on other keyboards, that being quick buttons to open your calendar, email, calculator or browser. You do get a set of dedicated keys for media controls (play, skip, stop, pause, volume, and mute). This sets the keyboard in more of a media related category over general productivity. 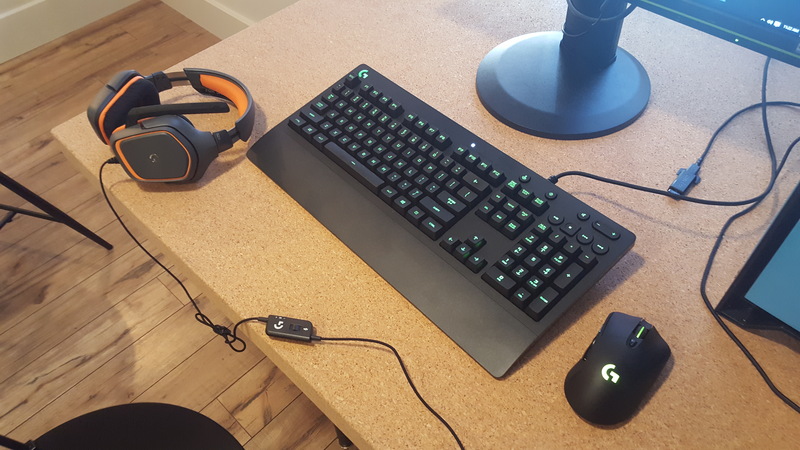 Setting things apart from a standard keyboard, the G213 offers software with a significant range of customization options. In the software you can configure the F1-F12 keys to do whatever you need them to do. If you are familiar with macros and key combinations, this keyboard most likely has you covered. There is a dedicated gaming mode button on the keyboard which disables the Windows and menu key, and you can set that to turn off any additional keys via the software. Along with that, settings for separate profiles in different applications. Overall, the software is very well thought out and any long time Logitech users will feel right at home. The software also controls the backlighting. 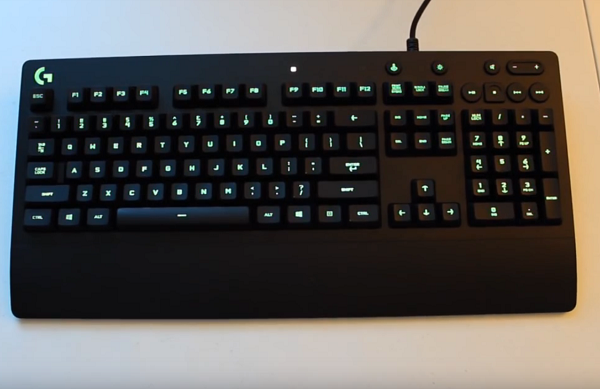 As this is NOT a “pro” gaming keyboard, you cannot set individual keys colors. The G213 has five color sections which you may change to a preferred color. The keys are very nicely backlit and I only see minor inconsistencies between keys. I do not stare at my keyboard, but backlighting is a must in darker rooms, especially if you have to press a key combinations. With 16.8 million color combinations you should be able to find your style without a hassle, I prefer the slow color fade that it comes with out of the box. I expressed a few problems in the video review, being the sticky-key problem. Some keys had begun sticking when pressed at the sides, but I do have some good news. I was able to remove the key(s) and add a little oil to them and which has fixed the issue, I have not had any sticky key problems since. The second problem was LED bleed on the corners. This appears to be a manufacturing problem, but they do not appear to wear beyond the little light that bleeds through. The paint used seems durable enough to the point where it won’t wear off the corners. I like it. Aside from the few quirks I mentioned above, it is fully usable as an everyday keyboard and gaming peripheral. It will retail at release for around $69 along with the other prodigy offerings from Logitech. Loud key press, also a bit squishy feeling. For more reviews by this author, please check out Portable Base. Thoughts of your own on Logitech’s products? Let us know in the comments.